Long a staple of cheesy horror flicks, whereby its effects would create monsters like Godzilla (1956), giant ants in Them! (1954), generate a huge, buxom lady in Attack of the 50 Foot Woman (1958), or even make a poor guy smaller in The Incredible Shrinking Man (1957), radiation, and anything related to it—such as radon—has been scaring people for years. Radon is an odorless, tasteless and invisible gas produced by the decay of naturally occurring uranium in soil and water. As such, radon is a form of ionizing radiation and is condemned everywhere as a proven carcinogen, with lung cancer being its only known effect on human health. Government agencies, at least in this country, are unashamed of stirring up a virtual hysteria over the issue, and a Google search on “radon” will reveal thousands of links to remediation contractors, dubious certification organizations, and fear-mongering websites of all descriptions. 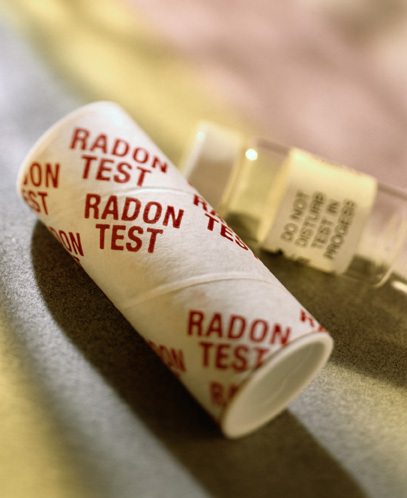 But, just how dangerous is radon, anyway? Supposedly, if you had the exposure of the uranium prospectors, that sprouted up right after World War II, many of whom became instant millionaires, it was extremely dangerous. However, radon wasn’t all that these miners were exposed to. In their unregulated and unventilated “dog holes,” these get-rich-quick artists, most of whom smoked, were also exposed to clouds of dust containing uranium and other nasty chemicals, nitrogen oxides, and simply miserable working conditions, that were damaging to health in numerous ways. Yet, historical data on uranium miners, far from reliable and limited in scope, is the cornerstone of most of the “science” that followed. About all you really could conclude from this report is that given high exposure to radon, cigarette smokers will experience a greater incidence of lung cancer. Note that these large exposures are orders of magnitude higher than one might encounter in even the worst household radon situation. As for non-smokers, there was essentially no meaningful data. Nearly 500 years ago, Paracelsus (1493-1541), a scientific genius of his era, wrote: “Dosis facit venenum“— “The dose makes the poison.” This is still the fundamental precept in toxicology, even if it has been forgotten by our current crop of experts. You see, they are applying the notion of linear, no-threshold extrapolation. Implicit here is that if massive doses of a carcinogen cause a tumor, then even small doses can, as well. Put another way, it boils down to this: If one person swallows 100 sleeping pills and successfully commits suicide, then in a cohort of 100 people each taking one pill, at least one person will also die. Absurd? Of course, but that, believe it or not, is the basis for the radon scare, and many others. Add to this the statistical trick of conflating smokers and non-smokers, and creating artificial groupings of results to show supposed significance, a “scientific” case can be made. Needless to say, the linear no-threshold extrapolation model has NEVER been proven to be true. By slicing and dicing the data and ignoring the smoking factor, to achieve the results it wants, EPA can then conclude that radon is the “second biggest cause” of lung cancer. To add to the noise, there are always “new” studies being released that merely reapply the BEIR VI report methodology to some other locality. Studies by radiation physicists Ralph Lapp and Bernard Cohen, along with work by several other researchers, have consistently demonstrated no correlation between radon exposure and lung cancer, once the smoking factor is removed. So why does EPA cling to its present radon policy? Cohen and a co-author, Harvard Professor of Medicine Graham Colditz, stated in a 1991 paper, “A great deal more than radon is at stake here. If the linear no-threshold theory fails for radon, it must surely fail for all other types of radiation, and very probably also for chemical carcinogens.” Considering that radon is touted as one of the “best documented” carcinogens, where would this put all the other myriad hazards we are warned about constantly? Where would it finally put these irresponsible agencies? Let your heart not be troubled. Even if I’m completely wrong about all this, it’s fairly easy to get rid of radon, just by ventilating your house. When it comes to indoor air quality, the solution to pollution is dilution. If you’re worried about lung cancer, don’t smoke.